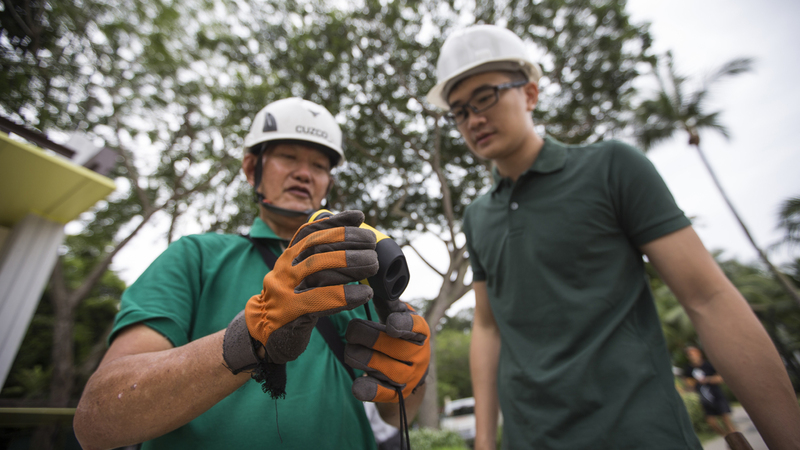 Tree doctor, or Arborist, Daniel Seah inspects and attends to sick trees and follows up on pruning schedules. With more than 20,000 individual trees on Sentosa island, he tells me he’s responsible for all of them. Scheduled working hours sound routine enough, beginning at 8.30am until about 5.30pm, but it’s not always the case. “I came in earlier today because of the heavy rain last night,” said Daniel, when I met him for my stint as his assistant for the day. In between taking calls on his work phone and leading me towards the company van, Daniel shared that a big Nyatoh tree had been uprooted by the strong winds and had fallen across a nature walk. When we met, the maintenance contractors had already been tasked to proceed with clearing the fallen tree. 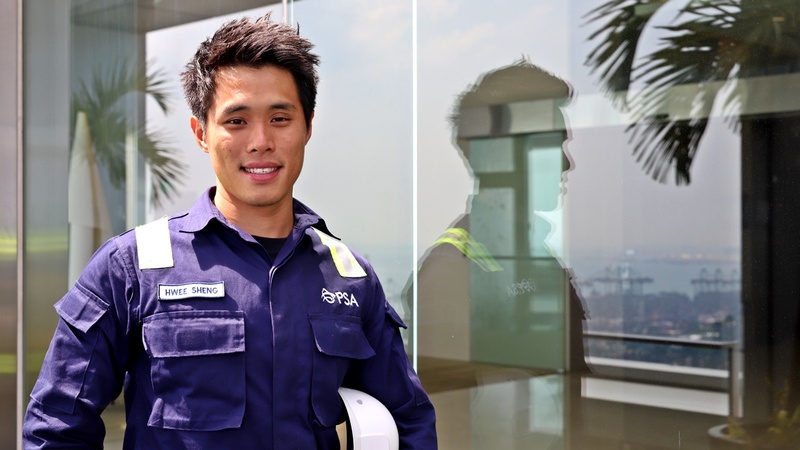 “Part of the job involves responding to emergencies such as fallen or uprooted trees and this may see me come back in the middle of the night, or over the weekend to clear them,” he shared. While Daniel rattled off names of the trees around, I was getting dizzy just trying to tell one leaf from another. The uprooting incident could have compromised the stability of the soil and damaged other trees. To ascertain everything was fine, we had to trek around a portion of the area. What didn’t seem like much effort at first soon became weary with more locations. At 61 and more than twice my age, Daniel’s 40 years of experience comes in handy when he treks around the forested paths like a seasoned ranger. Typically, Daniel gets around the island on an electric scooter, complete with helmet and equipment like a pH meter, laser rangefinder for measuring tree heights and penetrometer to measure the root density and compactness of the soil. But for the sake of this assistant, we counted on a van for transport and used leg-power for the sections where vehicles weren’t permitted. Our next stop saw us visually check in on some trees by the beach. As I had a go with the tools, the process was more tedious and physically demanding than I had imagined. 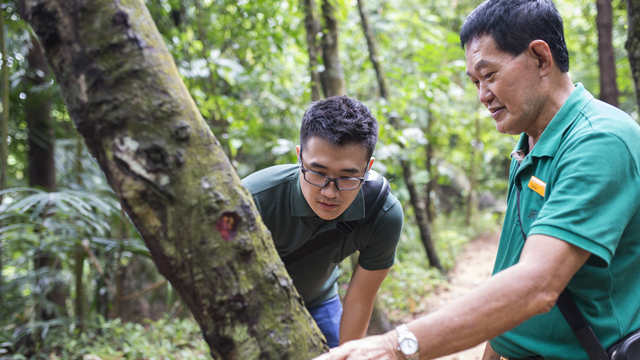 On the occasion when parts of Sentosa are gazetted for development, Daniel needs to trek through areas to assess the trees there. “That’s the most xiong (demanding) part of the job, and much harder than walking through the real forest because I’ll need to log everything down and share these findings in a report with management,” he shared. I also accompanied Daniel to worksites where he would caution contractors against damaging the trees when they move heavy machinery around. “I’ve developed feelings for the trees here. 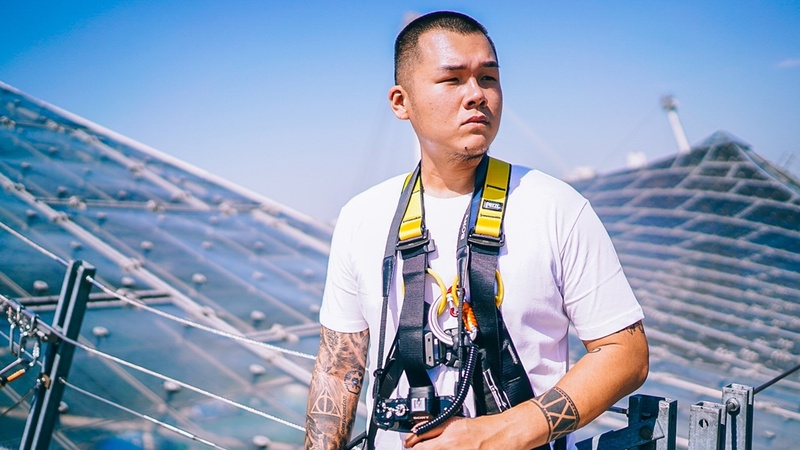 They’re like my babies,” revealed Daniel, who started off the job picking up knowledge from books and friends before eventually becoming an International Society of Arboriculture-certified arborist in 2003. “I will do what’s necessary so that they’re healthy and don’t affect the people who enjoy the island,” he shared, before adding that he has no intention of retiring anytime soon. It’s a demanding job that sees him often spending the bulk of his day tending to topiaries on the island, even on weekends; but it’s a responsibility that his wife and teenage son have been accustomed to. “I will continue caring for the trees here on the island until I’m gone. And then, it’ll be up to the next generation to take over that responsibility,” revealed the Amalgamated Union of Public Employees member. Admittedly, a day shadowing Daniel may not have been adequate to take in the entire scale of his job as an arborist (this also includes aspects such as population management and propagation). 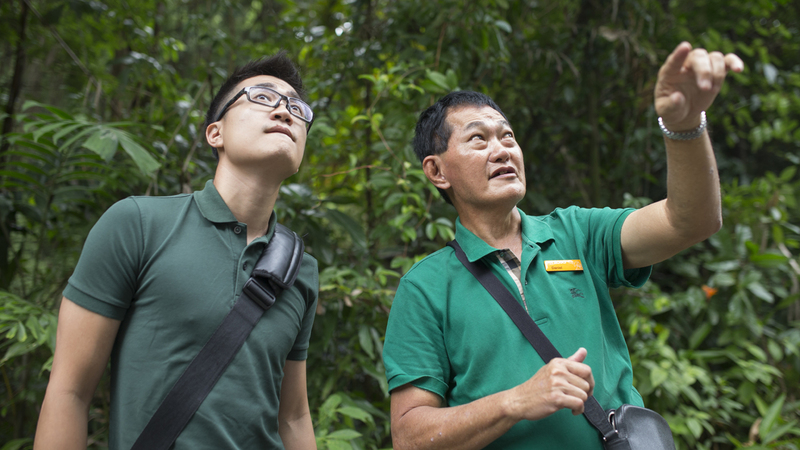 However, having received a first-hand look at the dedication and loving care that goes into every tree on the island and the pride that he takes in his role, Daniel has got my utmost respect as an unsung hero of Sentosa.